At the end of another year it feels good to take stock. If ever there was a year that defined an Ashtanga yoga generation, 2018 was it. The revelations around the sexual misconduct of K. Pattabhi Jois rocked those of us who hold dear the practice of Ashtanga yoga and those who teach it. As part of the #metoo campaign last year, Karen Rain delivered a powerful and telling blow to the credibility of our practice with her courageous statement. Rain’s statement ignited a conversation that for many years had seemed to be happening in the shadows, under the radar. Statements by other women, including Jubilee Cooke, followed. Anekke Lucas had already written an article in 2016 pointing to abuse by Jois. Throughout this year more and more women shared experiences at the hands of Jois that put our practice under the spotlight – a spotlight that predominantly placed trust and accountability at the forefront. It felt so important to acknowledge Rain, Lucas and all the other women who had been brave enough to raise their voices. Being a teacher of Ashtanga yoga, it has been a challenging time for me. Carrying on as normal didn’t seem the thing to do. I have self reflected on my role as an Ashtanga yoga teacher all year. 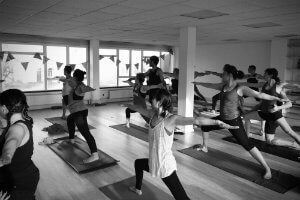 How was I actually being with the practitioners at my shala, Stillpoint Yoga London? How was I really meeting them? Was I assisting them in a way that really benefited them? Was I being clear with the adjustments I was using? Were these adjustments really helping? Most importantly, were they needed and were people open to receiving them? This self reflection also included my being a growingly confident creator of blogs and articles. I lost my voice for a while. After I wrote Listen Without Prejudice I went quiet. What could I share about Ashtanga yoga that wouldn’t feel contrived or pointless in the current climate? I didn’t really know what to say, I didn’t know how to be. I needed to go quiet so I could take the time to see how to respond. It moved me to a place where I felt I had to question why and how I did things. The things I had always done without thinking. Interestingly, though, I realised that this vulnerability and being held to account is actually a good thing for me. I need to be challenged. I need to feel challenged in my role as a yoga teacher so I can serve the practitioners I support in a healthier and ever more transparent way. So that there could be a response to the voices of Karen, Anneke and others, rather than carrying on as if they didn’t exist. A few people had told me to not think about it, to forget about it. That the students who come to us now won’t know who Jois was, so we can keep teaching the practice as it is, with nothing changing. But I realised, that’s not the point. It is about the students who are yet to come. But it’s also about acknowledging the past students who were hurt, mistreated and abused. It’s about remembering and showing solidarity to them so that the practice can move forward in a way that holds not only the voices of the victims, but of those who want Ashtanga yoga to be a force for change. To see that the guru culture may actually be to blame for cultivating the silence in what happened with Jois. To see that by acknowledging and learning from the victims of Jois we can create a more open, receptive and kinder dialogue within Ashtanga yoga. To meet people as a response to this. Ashtanga yoga is a tool. It’s a way of seeing the world through the awareness of the movement of your body with the relationship of the breath. When taught in a way that lands with the needs of a student it is an incredibly powerful practice. It is empowering. It empowers. When taught in a way that lands with the needs of a student, Ashtanga yoga is an incredibly powerful practice. I feel my job is to empower. To give power to the students who come to SYL and the workshops and retreats I undertake. To get out of the way of their own personal learning and discovery. To this end I’ve included below a few things I’ve learned that have helped me shift my teaching role into a more considered, responsive and compassionate approach. 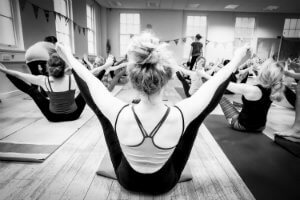 Being available to students who have concerns about Ashtanga yoga, being open to be challenged on my own views and behaviour, and learning from where I’ve perhaps fallen down. Importantly, creating space to be with students as they are challenged and letting them know clearly where I stand and where I am coming from. Not seeing that practitioners are there for me but that I’m here for them. I continuously check in with my privilege, seeing that I’m not imposing my own will or the will of the practice on them. That I’m here to facilitate their personal learning. That the practice fits into their lives. A real understanding about adjustments. Importantly, understanding why an adjustment is needed and talking someone through the process as it’s happening. Allowing full consent for the student, so that they’re completely involved in the relationship as an adjustment happens and can say ‘no’ at any point. Importantly, that saying no is not a personal slight, but an understanding that I am not needed. I understand that the power belongs to the student. That the self practice method of Ashtanga yoga can still be one of the most beautiful and delicate ways of learning the practice of yoga. It’s brought me closer to the practitioners at SYL. I try to consider every single thing when it comes to helping someone. Hopefully this helps a practitioner to learn and deepen their practice through me being more considerate and compassionate. The relationship and trust you can develop with a student through this style of teaching is still to me one of the great boons of this method. But it has to be earned. The self practice method of Ashtanga yoga can still be one of the most beautiful and delicate ways of learning the practice of yoga. Eventually I get out of the way. A person’s body is their own. No is no, and there is no real need for me to be involved unless asked. And ask. Always. So, I see 2018 as the year I lost my voice. I see it also as the year Ashtanga yoga found a voice that had been kept quiet. The voice of Karen, Anneke, Jubilee and many others. Those voices will always continue to be so important to listen to. We believe we’ve been helping to support these voices, with this year’s Spring Gathering and the soon to be announced Amayu Yoga. 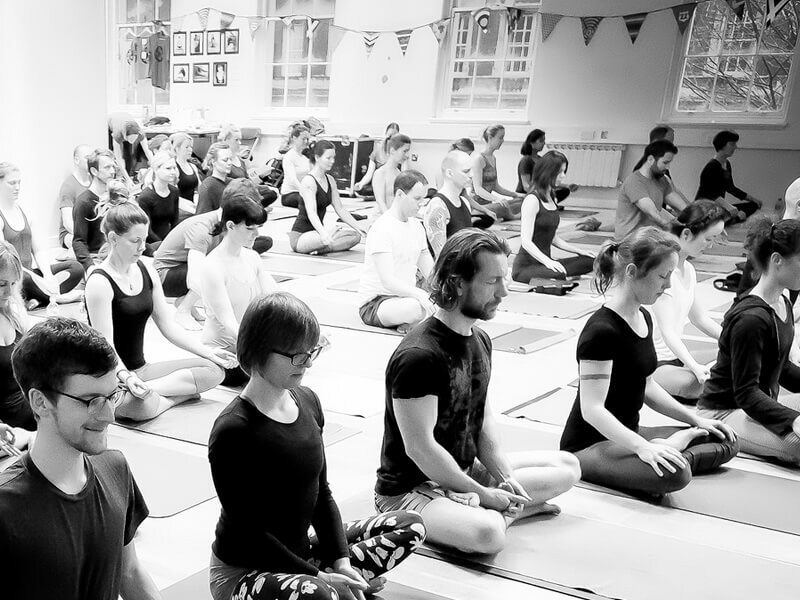 We hope a new voice in Ashtanga yoga is being found, with us here at SYL and elsewhere within the community. 2018 is the year Ashtanga yoga found a voice that had been kept quiet. We hope a new voice in Ashtanga yoga is being found. Join us as we move forward from 2018 and help Ashtanga yoga find a new voice. Be one of the first to hear about our many popular events, as well as receiving our blog posts direct to your inbox.